With WWDC coming to pass with no sign of the much rumoured iPhone 4S follow on, newly claimed iPhone 5 pictures have hit the web as a series of very convincing renders. Offering a tantalising insight into the potential design of Apple's next-generation pocket blower, the latest concept iPhone 5 pictures to do the rounds show a handset with a drastically changed form factor and a number of new, exciting features. Following last week's outing of the standard black next-generation handset, newly revealed images have now showcased what the future white iPhone 5 might look like. Doing away with the current glass backed design of the iPhone 4 and iPhone 4S models, the latest concept renders show a sleek, slimline handset with a sultry looking brushed aluminium matt black rear. Unlike a flurry of current iPhone 5 rumours, the latest images showcase a handset with the same 3.5-inch display size as its predecessors. Moving the existing 3.5mm audio jack from the handset's top edge to the bottom, the iPhone 5 concept sees the headphone port lined up alongside a pair of improved inbuilt speakers and a new, compact dock connector. The most eagerly awaited smartphone release ever, the Apple iPhone 5 has been a thing of rumour and speculation for well over a year with an iPhone 5 release date likely to see the mythical handset formally unveiled this September as the first device to come preinstalled with the recently unveiled iOS 6 software. Largely expected to come toting a larger Retina display that its current 3.5-inch offering, a number of iPhone 5 rumours have suggested the Samsung Galaxy S3 and Nokia Lumia 900 rival will touch down with a quad-core processor and improved camera optics in tow. What would you like to see Apple do with the next-generation iPhone 5 handset? Are you impressed by the latest round of rendered iPhone 5 images? Let us know via the T3 Twitter and Facebook feeds. 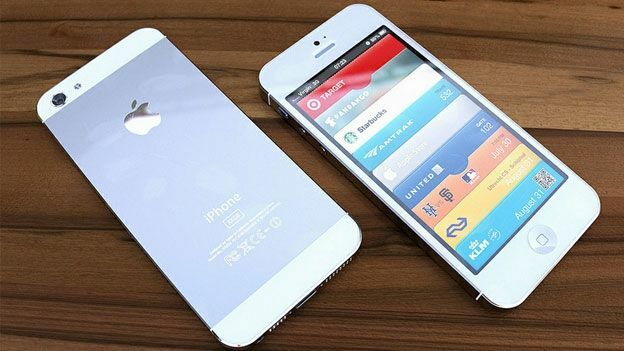 Watch our video of the latest iPhone 5 concepts video below.